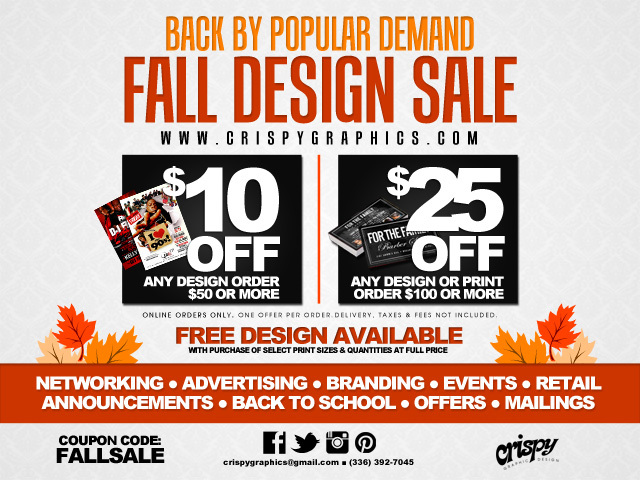 Save up to $25 off Design & Print Services! New online orders only. No rainchecks. Must mention this ad upon checkout. Not valid with existing offers. Order must be placed no later than Friday, November 7, 2014. Logo and flyer prices do not include editing & additional formatting if applicable. Other restrictions may apply. 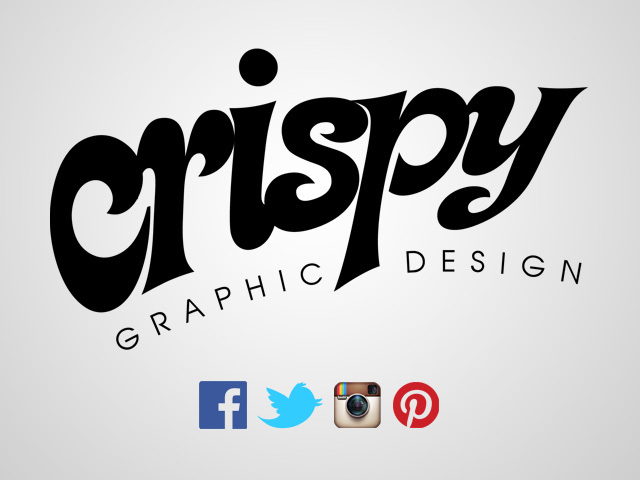 For questions or other information, please email crispygraphics@gmail.com or call (336) 392-7045. Posted by: Revanew Media on October 21, 2014.